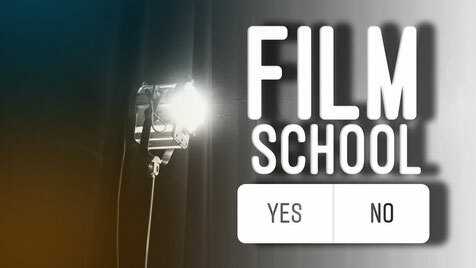 Is Film School Necessary? - antoniocudemos Webseite! So I went to L.A. for my film school. And after attending one, I can pretty much answer this question with a simple, no! We discussed this many times with my fellow filmstudents. Don’t get me wrong. It was a great experience, specially living in L.A. But with the internet, youtube etc. you can learn a lot online. Film school is not necessary. You can learn everyting by yourself. You just need to know, where to find the information you need. So let me give some advice, after I went to film school and have spent several years working in the film industry. Ready as many screenplays as possible. You can find so many online for free. You can benefit from good ones, and also from not so good ones. Watch many videos online about screenwriting and also watch interview with screenwriters. Read books, watch online videos about it and try it out with a camera. You don't have to go to film school to be a filmmaker, but you do need to get educated. Learn about cinema history, watch making ofs, read books about it, watch a ton of movies. And not only blockbusters. And then… go out there and shoot as much as you can.